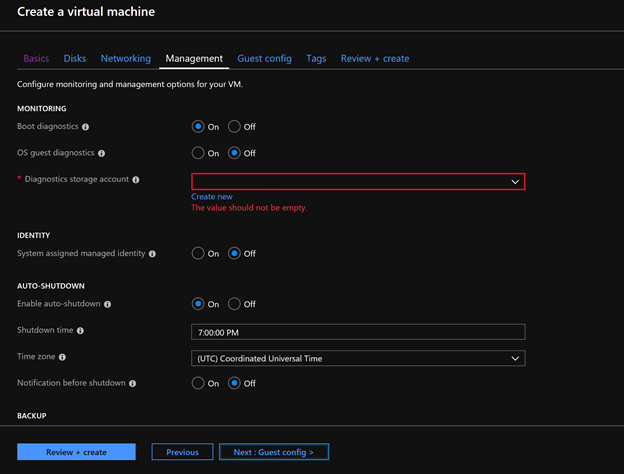 This blog will help you create a VM on Azure with a free account or any Visual Studio subscription you have. Let's assume you have created your free Azure account. Here, we will learn to create a VM on Azure with a free account or any Visual Studio subscription you have. Here is the original link. If you don’t have an account - Create one ASAP and get access to 12 months of free services. Log into https://portal.azure.com and sign in with your account that you have. You must see the dashboard, as shown below, if you are a first time user. A regular user will have a different dashboard that can be customized. Search for Virtual Machines on the left sidebar to open the VM Panel. 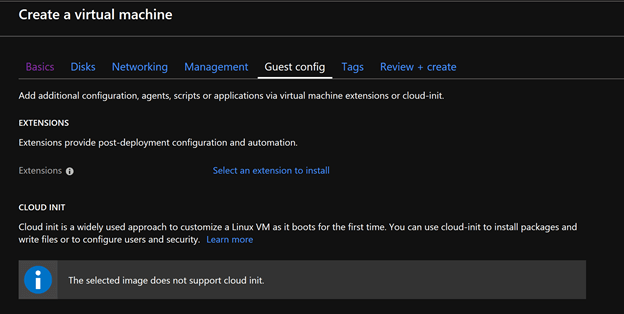 Click on "Add" or "Create New VM" to start the process of creating the Virtual Machine. Create a new Resource Group or select an existing one. Give your VM a name. Select the region where you want your VM to be hosted on. Select the OS Image Templates on Azure (Linux or Windows). Select the size of the VM. Once you have selected a size according to the price, you need to define the admin credentials. NOTE - These will be your login credentials to the VM using Remote Desktop Connection. 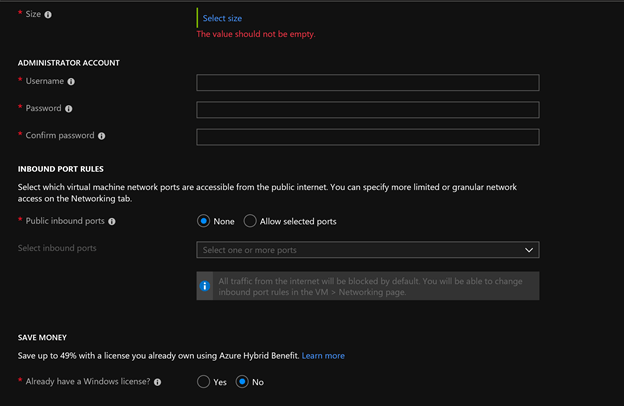 In case you want to limit the network ports, you can certainly add them by selecting “Allow Selected Ports” and add them. In case you have a Windows License, you can save up some money on the VM. Once you have done filling these data, click on "Next". Select a “Disk Type” and click "Next" to continue. You need to create a Virtual Network or select an existing network. In case you may want to access the VM using an IP Address which is not changing for the network, that can be set up using the public IP. You need to create a new one or select an existingone. Once done, click "Next" to continue. You can set up the monitoring of the VM you are going to create from the “Management" Tab. 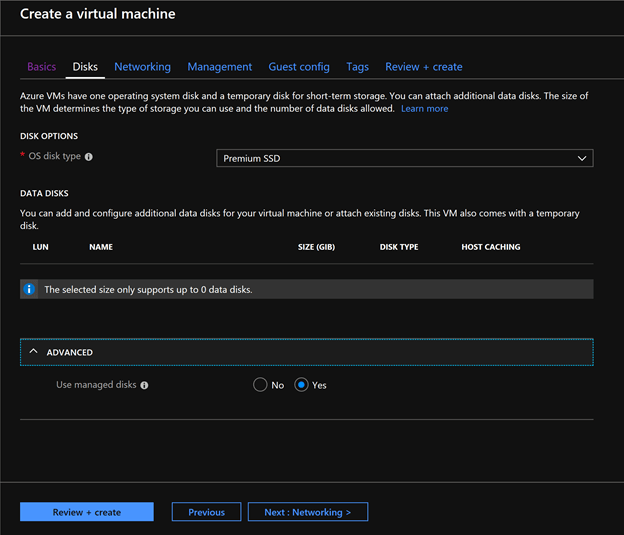 A Diagnostics storage account is mandatory for creating a VM; create a new account or select an existing one. Any additional configuration, agent, or script can be added to the VM via Virutal Machine Extentions from this "Guest config and Tags" tab. Let's go to “Review + Create“. Review the given data, User credentials, IP, Resource group and then hit "Create". After 3-5 mins, the Virtual Machine is set up, and you can find that in the "Virtual Machine" tab. Hooray!! 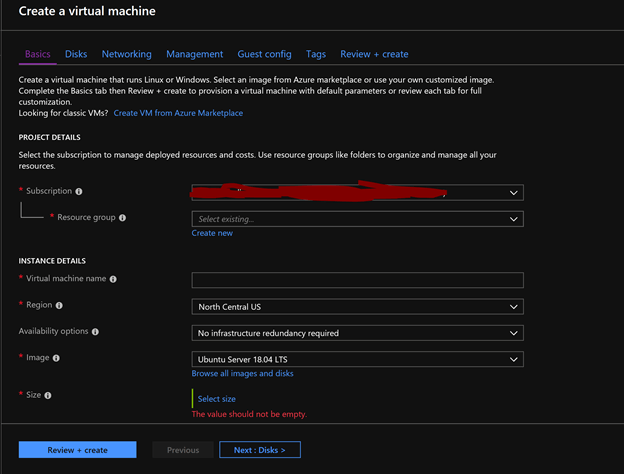 You have finally learned how to create a Virutal Machine on Azure.